It has already been given a slightly premature début on the feet of Bastian Schweinsteiger and now we can finally unveil the brand new Adidas F50 Adizero Red/Black/White. The new colourway is already on the way out to all the big stars and before you get to see it on their feet, you can see it here. 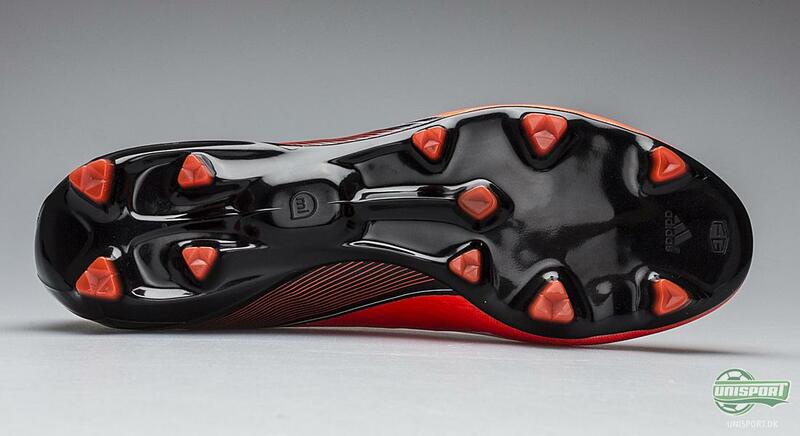 It has already been spotted on the training pitches all around the world, where some of the biggest stars in the game have been breaking them in and Bastian Schweinsteiger has even given them their full game début. 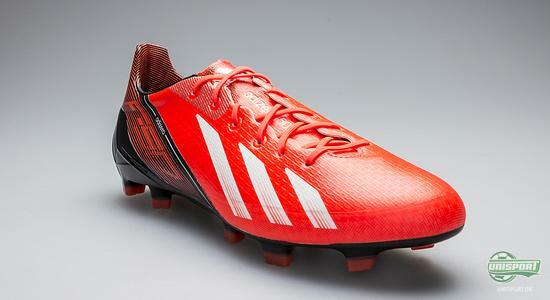 Now it is time to officially present the Adidas F50 Adizero Red/Black/White, which our more than capable photographer has shot some brilliant pictures of. 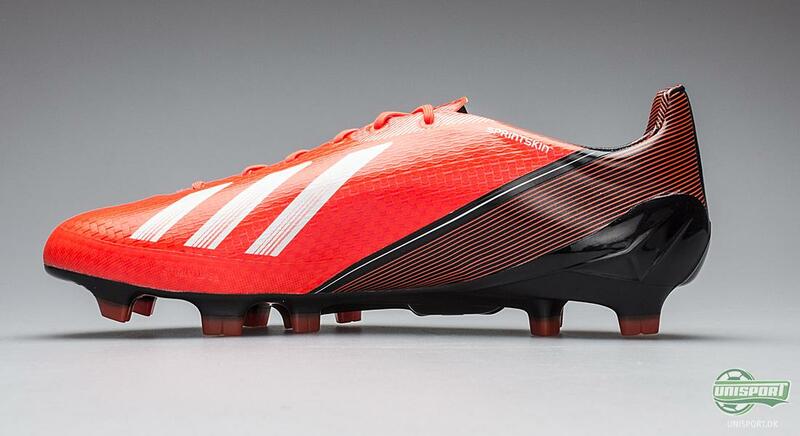 With an astoundingly low weight of just 165 grams, the Adidas F50 Adizero is the lightest boot on sale at the moment. This has made it incredibly popular among the players, who enjoy and pride themselves on speed. 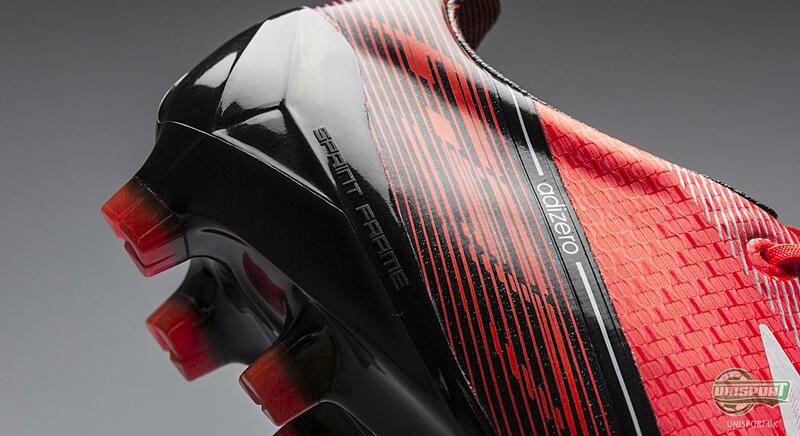 Among the professionals, who prefer the synthetic upper version, you find Gareth Bale, who, this year, was celebrated as not only young player of the year in the Premier League, but also the biggest honour, Player of the Year. 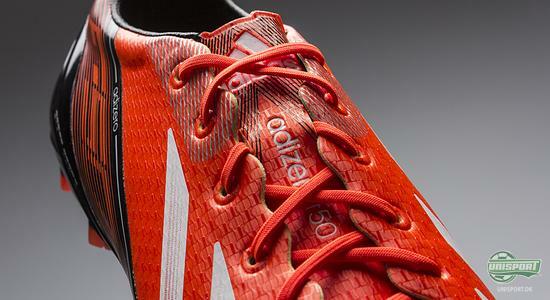 One of the things Adidas have changed on the fourth generation of Adizero, is the Sprintweb-construction. The microfibre material is not strong enough to support itself, so it needs the Sprintweb to work as a skeleton. This keeps the boot upright and provides vital support for the foot. The Germans also removed the broad Sprintweb-band that ran across the nose on the third generation of Adizero. This was to make the upper more flexible and supple, which is something we applaud, as it has worked to perfection. Adidas have also enforced the heel with a Sprintweb-construction; the dark red band, which envelops the heel and Achilles. This goes hand-in-hand with the external heel counter and the internal TPU Support Bands, so they create an incredibly stable boot, which still moves and flexes in accordance twith your movements. The microfibre material that is used on the Adidas F50 Adizero is still the Sprintskin II, which is made from Adidas' AdiLite Twin material. 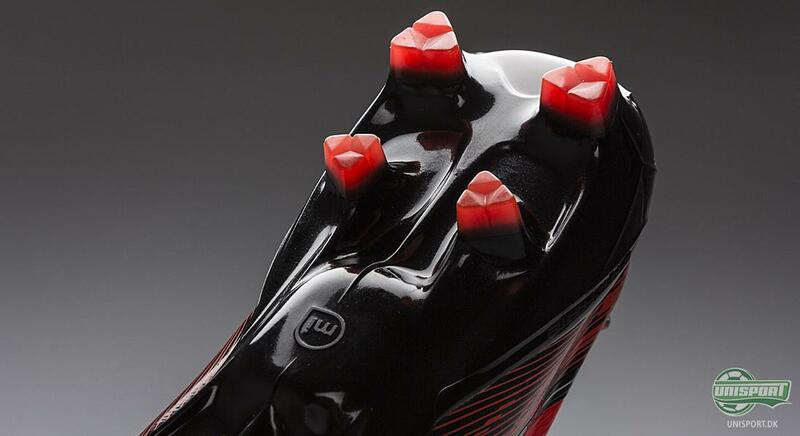 This synthetic is just 1,5 mm thick and therefore makes for an incredibly sharp touch on the ball. At the same time the upper has been given a special texture, which is slightly adhesive, so that your grip on the ball is increased. 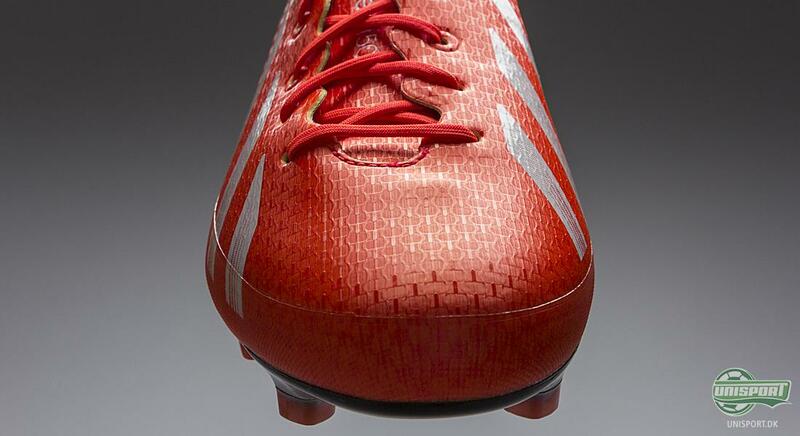 Adidas still keep to using their extremely light Sprintframe outsole, which weighs next to nothing. 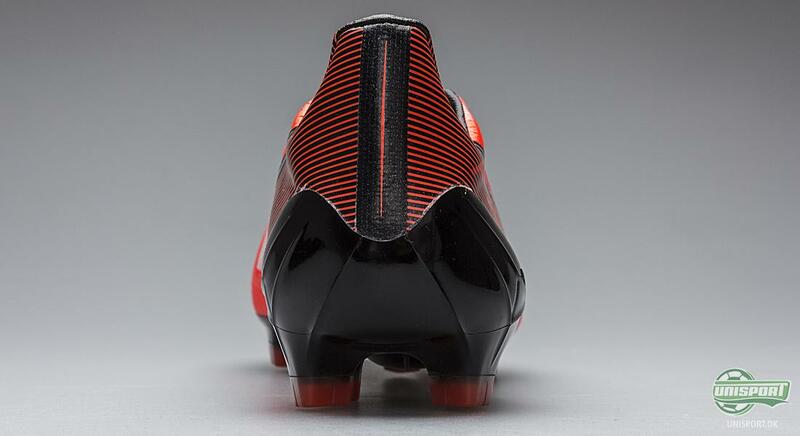 Even though it in some places is no more than an astounding 1 mm thick, it is still very durable and very springy. This gives a very explosive kick off, which is definitely something that helps your acceleration. The stud-configuration is one we know quite well and is of course the Traxion 2.0-system. 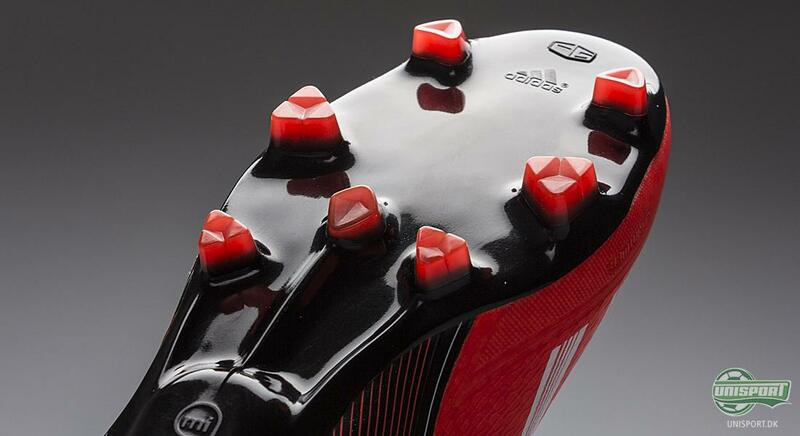 It is based on the triangular studs, which are now synonymous with Adidas' boots. 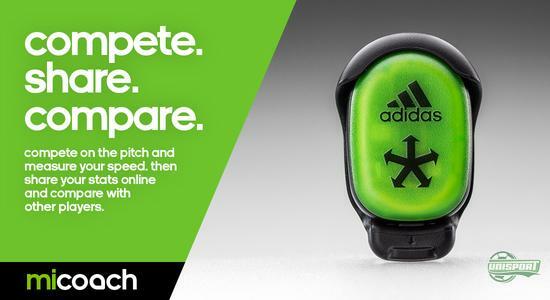 They give an incredibly good grip in the pitch, no matter if you're turning, twisting, accelerating, or breaking. This means you always have a good chance of getting to the ball first. 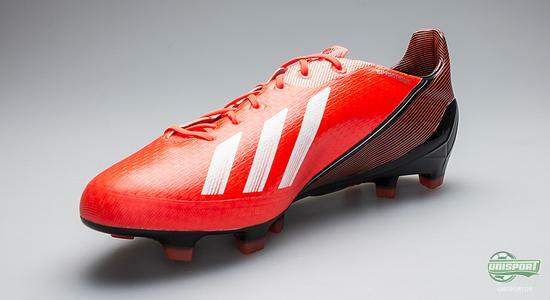 Adidas F50 Adizero Red/Black/White is naturally also MiCoach compatible, which means that you can use your MiCoach, so you can collect data on your movement around the pitch. 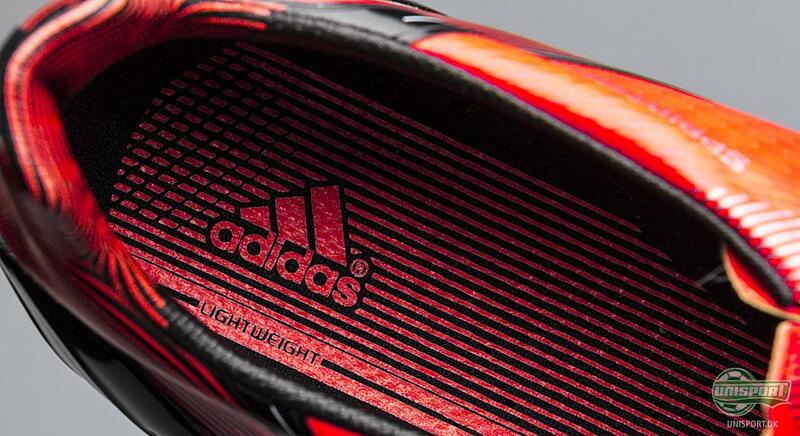 The chip can be placed in the sole of the boot and can, among other awesome things, measure how fast you run and how far. 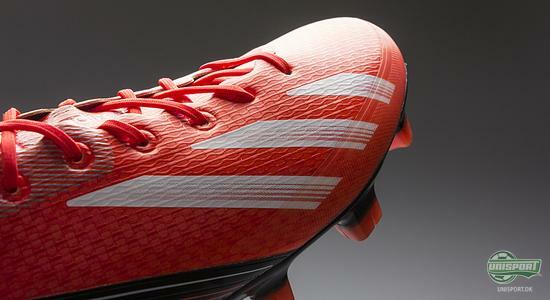 Adidas F50 Adizero already looks to get its full début this weekend, where we expect seeing stars like Bale, Schweinsteiger, Robben and David Villa in the boot. What do you think about it? Share your thoughts in the box down below.